You Have a Website - Now How do you Market it? You are Here: Techarta » SEO » You Have a Website – Now How do you Market it? You Have a Website – Now How do you Market it? If your website was created for commercial purposes, its intent is to bring in business. Whether it be for retail sales, memberships, advertising other products or services or your own, the website needs to be visually appealing and useful, generating interest among your targeted niche. Many Web design companies can assist in building a site from scratch or help you create a unique Internet page based on a generic template. This is important but is only the first step. To get the most out of the site, companies and individuals alike need to pay close attention to how to market the website. This is really key to success on the Web. Adding pictures and catchy text may look appealing to you, the business owner. However, those searching for a particular service or product may never see this information. Why? Because the pages to your website and its links to other content are not relevant to the search terms consumers use. The major search engines like Google and Bing want to provide users with relevant, meaningful content. A unique, targeted, written description is one of the best ways to do this. When you create pages on your website, the text must be fresh, interesting, and help people find what they are seeking. Often there is too much focus paid to the web design or just having an online presence without enough attention paid to marketing the site. Savvy Internet marketers are able to tap directly into the search trends and produce text that matches what consumers are looking for. This knowledge is used to build the website from the ground up. The pages must contain very pertinent information about specific products or services focusing on commercially valuable terms or other useful information that may later lead to a sale. But there is much more to online marketing than just creating visual content. Online marketing is about great images, graphics, being highly visible on social networks, and engaging your customers on email marketing, among other channels. Facebook, LinkedIn and other social/business networks are a prime source for attracting customers. Members and a hot item can quickly share information or desired service can be seen by thousands of people in a matter of days. Satisfied customers can then share their experience and recommend your business with a single click, spreading the word to all of their online friends. In today’s highly competitive online sales and service industry, business owners cannot afford to choose just one method of promoting their products or services. Adding the company information to a social network page is critical when it comes to getting the word out to the public. Permission-based email advertising is inexpensive, but the target audience must be clearly defined. No one benefits when the outgoing communications are recognized as spam. Ongoing dialogue between business and customer depends on the quality of the text, picture and banners created. Of course, online channels aren’t the only way to market a website. Don’t forget more traditional channels such good old-fashioned business cards, print media, other forms of advertisements, or good old-fashioned word-of-mouth. Congratulations, you have a website. Now it is time to finely tune it to your potential consumer base and make it have a maximum impact. Finding the correct marketing channels and developing effective strategies often can benefit from the consultations and services of an online marketing professional. Ascent Internet contributed this article. 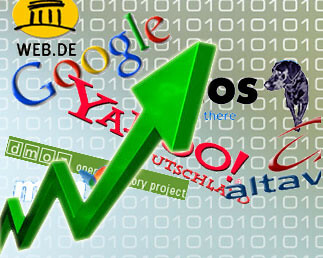 They provide Internet marketing services that include SEO, SEM, social, and email marketing. You can learn more at AscentInternet.com.